According to the FDA recent warning, there are serious issues and side effects with the new class of medications used to treat type 2 diabetes. 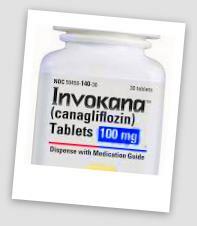 Johnson & Johnson’s Janssen Pharmaceuticals unit manufactures and distributes Invokana (canagliflozin), for patients with type-2 diabetes, to control their blood-sugar levels. The drug has achieved blockbuster status, in that it is set to blow past a billion dollars in sales in 2015.